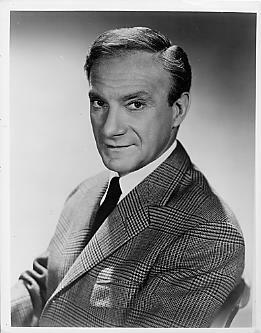 Jonathan Harris, known to millions of fans around the world as TV's Dr. Smith from the now-classic sci-fi fantasy series Lost in Space (1965-1968) died suddenly near his home in Encino, California, following a brief illness. The 87-year-old actor was a veteran of hundreds of stage, television and film performances, including memorable guest appearances in shows like Twilight Zone, Bewitched, and Battlestar Galactica and films such as A Bug's Life and Toy Story 2. But it was as the cowardly, flamboyant, but always lovable Zachary Smith that Harris will forever be remembered. Born on November 6, 1914, as Jonathan Charasuchin, Harris was the second of Sam and Jennie Charasuchin's three children. The family lived in a six-story tenement building in the Bronx and endured an ongoing struggle to make ends meet. By the age of 12, Jonathan contributed to the family finances by working as a stock boy at the local pharmacy. Though the family did not enjoy many of life's luxuries, Sam Charasuchin, a Russian-Jewish immigrant, taught Jonathan to appreciate the arts by exposing him to opera and taking him to performances at the neighborhood Yiddish theater. Soon, Jonathan realized his love of acting and began self-imposed and self-taught training to rid himself of his New York accent and dialect. At the age of 18, he legally changed his name to Jonathan Harris, but afraid of his parents' disapproval, he did not alert them of his desire to perform. In 1932, Harris enrolled at Fordham University and graduated four years later with a degree in Pharmacology. In 1938, he married his high school sweetheart, Gertrude Bregmen. The two shared an elegant, sophisticated life in New York, a far cry from Harris' meager childhood, but still feeling unsettled in his career, in 1939, Harris engineered a phony resume and auditioned for the repertory company at the Millpond Playhouse in Roslyn, Long Island. After his acceptance into the company, Harris spent the next year playing supporting roles in 16 of the group's productions. Soon, his ambition led him to Broadway, where he starred in Gilbert Miller's production of Heart of a City after only three years of performing on stage. In 1946, he starred alongside Paul Muni and Marlon Brando in A Flag is Born and gave such a stirring performance that he finally received his father's blessing to continue his acting career. Harris also made notable appearances in the feature films Botany Bay and Catch Me If You Can. The latter filmed in Cuba during the coup that propelled Castro to power. The new dictator seized the film, and it was never released. Throughout the 1950s, Harris guest-starred in dozens of television productions, including Lights Out, Studio One, Kraft Television Theater and Zorro (opposite Guy Williams), to name just a few. In 1959 Harris was cast as Bradford Webster, opposite Michael Rennie's Harry Lime in the television version of The Third Man, loosely based on the Graham Greene book. It was here that Harris honed his persona as a highly sophisticated though always-sardonic personality. An amalgam of the larger-than-life actors and actresses with whom he had worked in the theater (Tallulah Bankhead, Paul Muni, Martita Hunt, John Carradine, etc. ), this stylish persona also served Harris well for the two years he played Mr. Phillips, the imperious hotel manager on the short-lived sit com, The Bill Dana Show. It was this role, as well as Harris's growing reputation for a no-nonsense always-on-time professional, that brought him to the attention of producer Irwin Allen, who in 1965 was scouting around for the perfect actor to play the nefarious saboteur, Dr. Zachary Smith in Lost in Space. After briefly considering other actors like Caroll O'Connor and Eddie Albert for the part, Allen chose Harris, who, within weeks of the show's premiere in September 1965, had all but stolen the show from co-stars Guy Williams, June Lockhart, Marta Kristen and Mark Goddard. With the aid of a bubble-headed robot (called "Robot") and child actors Angela Cartwright and Billy Mumy, Harris added new dimensions to the Smith character, making him more lovable and childlike in a way that endeared him to fans, but often infuriated his fellow actors. He would often rewrite his own dialogue and gave numerous suggestions to Allen and the Lost in Space creative team. Nevertheless, when Harris would occasionally solicit Allen's approval for his antics, he was encouraged by Allen's response: "Do more!" Harris's scene-stealing was further rewarded by the consistently high ratings the series achieved during its three-year run, and during its continued popularity for nearly four decades in syndication and on cable. Rather than hiding from his small-screen alter ego, Harris loved the character he had created and wore it proudly throughout the balance of his career. During the 1970s and 80s, he continued to appear in featured and guest starring roles on television (Bewitched, Land of the Giants, Battlestar Galactica, etc.) and in regional theater (The Man Who Came to Dinner, A Christmas Carol, etc.). Throughout the 1990s, Harris enjoyed the enormous resurgence of interest audiences around the world were beginning to show in Lost in Space and, particularly, in his Dr. Smith character. Although he declined to appear in the Lost in Space feature film produced by New Line Cinema in 1998, Harris was a frequent participant at countless sci-fi conventions and personal appearances, most notably the 25th and 30th Anniversary Lost in Space Cast Reunions held in Boston. In 1998, Harris, reprised his Dr. Smith character in a one-hour television special entitled Lost in Space Forever. Co-produced by Twentieth Television and New Line, the syndicated special was hosted by John Larroquette and co-starred Bill Mumy. Although virtually retired from the screen in his later years, Harris delighted in performing voice over roles in dozens of animated children's cartoons for television (Problem Child, Freakazoid!, etc.) and was a featured contributor to the Walt Disney Productions/Pixar Studios-produced feature films, A Bug's Life (as "Manny the Praying Mantis") and Toy Story 2 (as "The Fixer"). At the time of his death, Harris was preparing for his return to television as Dr. Smith in the upcoming NBC television movie, Lost in Space: The Journey Home, to be produced by Fox Television Studios and Synthesis Entertainment. Harris is survived by his wife of 64 years, Gertrude, his son Richard, his daughter-in-law Lynnelle, his granddaughters Melissa and Vanessa, and his sisters Rosalie and Allene.. Services will be held at 10 a.m. on Wednesday, November 6 at Westwood Memorial Park, in Los Angeles.